The Bicycle Man is a full service bicycle and recumbent bike shop in Alfred Station, New York. We are “centrally isolated” in Western NY, a great place to ride! We have been serving our customers, under the same management since 1966; riding, selling and stocking recumbents since 1995. Our desire is to provide service that will bring you back, with a smile! We aren’t perfect, but apparently we are doing something right. We are cyclists ourselves. We have logged tens of thousands of miles racing, touring, trail riding, commuting, and day tripping on road bikes, mountain bikes, and recumbent bikes and trikes. Lee, our shop manager has toured on traditional bikes and recumbents and worked in bicycle shops for approaching 30 years. Peter, the owner/designer/salesman has been in the bike business since 1966. He was car free till 1985, riding everywhere in all weather. He successfully raced traditional bikes locally from 1972 to 1985 and won the 2001 HPRA North American Recumbent championship racing SuperStock. 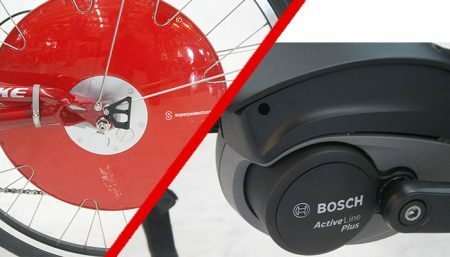 We carry Fuji mountain, road, hybrid and comfort bikes as well as recumbent bikes and trikes from Avenue Trikes, Azub, Bacchetta, Catrike, Greenspeed, Hase, HP Velotechnik, Ice/Trice, Lightning, Linear, Longbikes, Maxarya, RANS, Sun and Terratrike/Wizwheels. Come on in and test ride a bike suited to your riding lifestyle! 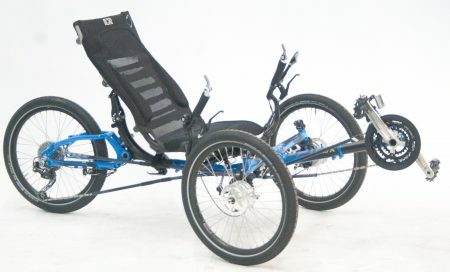 If you are too far away to come in, and don’t have a dealer in your area we can ship some brands of recumbents to you. If you can we recommend test riding before buying to be sure you get a bike you love! 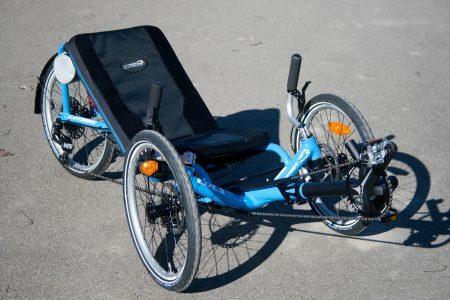 When we ship a new recumbent to a customer, we unpack it, assemble it and adjust it. Then we ride it, re-adjust it and re-pack it. We don’t just slap your address on a box and let it go. 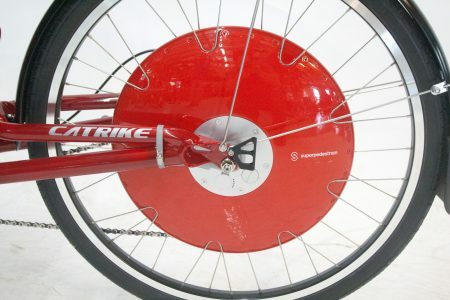 Due to the manufacturer’s policy we do not ship new Fuji bikes or TerraTrike trikes. If we did we would lose our dealership and your warranty would be invalid.